Work on a number of ABFM’s Knowledge Self-Assessment (KSA) activities together with your peers in a classroom-like setting and get it done more efficiently! The IL AFP KSA activity offers a convenient and high-quality solution for your busy schedule to complete the American Board of Family Medicine (ABFM) Maintenance of Certification (MoC) Knowledge Self-Assessment (KSA). Our Group Study Workshops takes you through the 60 core competency questions to determine the correct answers. After the session, IAFP staff will report your answers directly to the ABFM. 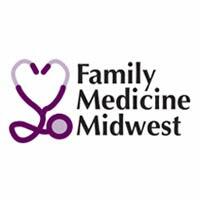 This program will use a web-based system that will allow family physician learners from across Illinois and the country to have the opportunity to complete the KSA and learn from physician experts, while in the comfort of your home or office. To participate, all you need is a computer, high speed internet access, a telephone and/or speaker capability (a microphone is not needed as all lines will be muted) and be ready to learn and participate. The day of, participants will use an online polling system to work through KSA questions with our content experts. Our main goal is to pass the exam, with expert speakers offering background assistance on each question. First, questions will be displayed giving participants approximately 30 seconds to read and think it over. Next, the question content will be discussed. Then a poll will be launched asking for final answers. Poll results will be revealed and discussed. Finally, all answers will be submitted as a group and individuals will be credited for completion of the knowledge self-assessment. A completed KSA will provide 10 certification points and 8 CME credits toward ABFM certification requirements. Registration closes on Sunday at 11:59pm CST.